How organizations can do their part to get waste off the list of the top five most deadly industries. If you ask anyone working in the waste sector, they’re likely to tell you that improving safety is among the top priorities in their organization. Waste services has been cemented over the past several years as the fifth deadliest industry in the U.S. According to data from the Solid Waste Association of North America (SWANA), Silver Spring, Maryland, there were 98 industry deaths in 2016. This increased to 132 in 2017. This year is on pace to be just as bad. Between the U.S. and Canada, there have already been 100 waste-related deaths so far in 2018. This is in addition to countless other nonfatal work-related incidences that result in injury or illness on the job. 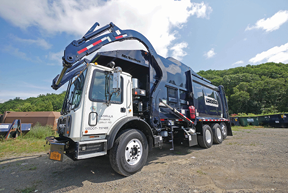 According to Sarah Bolton, new business development manager at Mariposa, California-based Blue Ridge Services, there are a number of reasons why waste has long been one of the most hazardous industries in the country. “Waste workers are exposed to many risks not inherent in other industries,” she says. 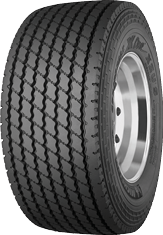 “They can potentially come into contact with hazardous or toxic materials, and they are working in and around heavy equipment. 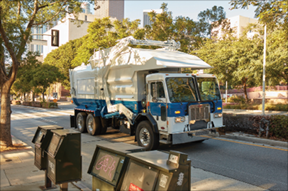 Waste collections workers are operating huge trucks while navigating heavy traffic, pedestrians and distracted drivers. 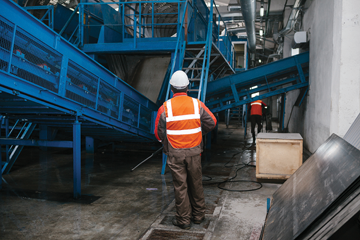 Many waste workers are also handling waste directly, and that puts them at risk from dangerous materials, bloodborne pathogens and other hazards. According to Cornelius, the issue of safety is a complicated one, but can be improved upon by focusing on several categories that can help keep professionals better protected. Cornelius said during the session the first thing companies need to do to improve on-the-job safety is to have a written safety plan in place that is comprehensive and current. While this may seem obvious, he said many companies fall short in outlining clear directives for their employees. “National surveys that we’ve been conducting show that 90 percent of solid waste facilities don’t have safety planning documents that are in place and up to date,” he said. For organizations that do have plans in place, Bolton says documentation is often sequestered in an office and rarely referenced. As part of this planning, Cornelius said it is important to follow Occupational Safety and Health Administration (OSHA) protocols. Besides adhering to these legally mandated practices, he noted OSHA recommends every employer have injury and illness prevention programs (IIPPs) in place that are site-specific for every one of their locations. “At the end of the day, there are differences between every single site, and we need to make sure that our planning is addressing all of them,” Cornelius said. After a safety plan is developed by a company, employers should move forward to put standard operating procedures (SOPs) in place. Cornelius said he often visits sites throughout the country where five different individuals might have five different ways of performing a given task. Insisting on uniform practices can help make sure employees are taking proper precautions and allows for a shared language between coworkers. Although uniformity is critical, Cornelius said practicality also needs to be considered when drafting SOPs. Once safety plans are in place and operations best practices have been communicated to employees, training is a logical next step to help put these protocols into practice. “You can have all the plans and programs in the world in place, but if you don’t actually train employees on how to do them and implement them, they can easily fall flat,” Cornelius said. Proper instruction must be completed in two phases, he says. This includes both initial and ongoing training. Initial training is the process of educating employees who are new to an organization’s safety policies, whereas ongoing training is something that is never-ending. Cornelius said regardless of years of experience, new employees should always undertake initial training. He said in-house, on-the-job training is important for companies to engage in to continuously refine their safety initiatives, but organizations should be sure that the correct operational procedures are being reinforced. To help correct some bad practices that have developed over time, third-party training can be useful. The important thing when bringing in a third-party trainer, Cornelius said, is to find a program that is organization- and site-specific to meet the needs of every worker. According to Bolton, there are a number of different resources available to help train a workforce. The important thing is making sure that training is manageable, consistent and engaging. Besides training employees on safety, it is important to also engage with customers. Since customers account for the largest percentage of waste-related deaths each year, a company’s messaging needs to be geared at preventing incidences with this demographic. Cornelius gave an example in the session of the ways landfill operators should best keep customers safe when they come to dispose of material at a landfill. This can include posting readily accessible site and operational information, along with safety policies, and enforcing the use of personal protection equipment. Although some of this customer safety information might seem obvious to those working in the field every day, it is important to remember that customers might be new to these best practices. Posting training information that is easily visible, clear and concise is the best way to inform and educate customers on a company’s policies, Cornelius said during the session. Compliance permeates the entire culture in organizations that have exemplary safety records, Bolton says. It is not something that is a peripheral objective. This starts with buy-in from the top down. Bolton offered an anecdote about visiting a safety manager from a large waste hauler at the company’s landfill who clearly relayed the importance of safety to those working under him. Bolton says the benefits of making safety a priority throughout an organization are numerous. She notes that safer organizations are often more efficient since clear ways of working ensure that workers are being consistent in their effort. Additionally, safer organizations are more profitable since infractions and oversight can cost thousands, or even millions of dollars, in potential fines and lawsuits. Most importantly, Bolton says that employees that work for an organization that focuses on safety know that their lives and their families are valued, and they will be more engaged and loyal to their organizations when they feel valued. Cornelius concluded his talk by saying if the waste industry is going to show marked improvement on the safety front, organizations have to be more proactive in creating change. “We see from the statistics that we need to improve. But over the last few years, even though we know we’re in a dangerous industry, we haven’t. We need to start addressing this,” Cornelius said. “When you go back to your office, check out what you have in terms of safety planning. Not only do you need to have it, but it needs to be up to date. For SOPs, do you have those in place and are they giving detailed instructions? Do you have training in place that is not only initial training, but ongoing, to make sure that everyone is always performing at the highest level? And finally, what do you have in place in terms of customer safety?